Last year before Rosh Hashanah, I collected a few sentences from the Rosh Hashanah prayers that I feel are particularly meaningful. One of the prayers is: “Transform my suffering into gladness,” based on Cantor’s Personal Prayer before Musaf. One of the highest forms of suffering I can imagine is the loss of a child. I cannot imagine such a loss or what it is like to move forward after this tragic event. Under these circumstances, how is it possible for a parent to transform their suffering into gladness? Create the Koby Mandell Foundation with her husband, based in Israel. The foundation offers therapeutic healing programs for those who have lost a mother, father, sister, brother or child to terrorism. Become a certified pastoral counselor who facilitates healing groups for bereaved mothers and manages support groups and retreats for widows and bereaved mothers. Teach about grief and resilience around the world. Her book, The Road to Resilience: From Chaos to Celebration explores the seven spiritual stages of resilience that teach us how to not only survive grief, but how to thrive in the face of loss and trauma. Mandell proposes that resilience is often misunderstood. 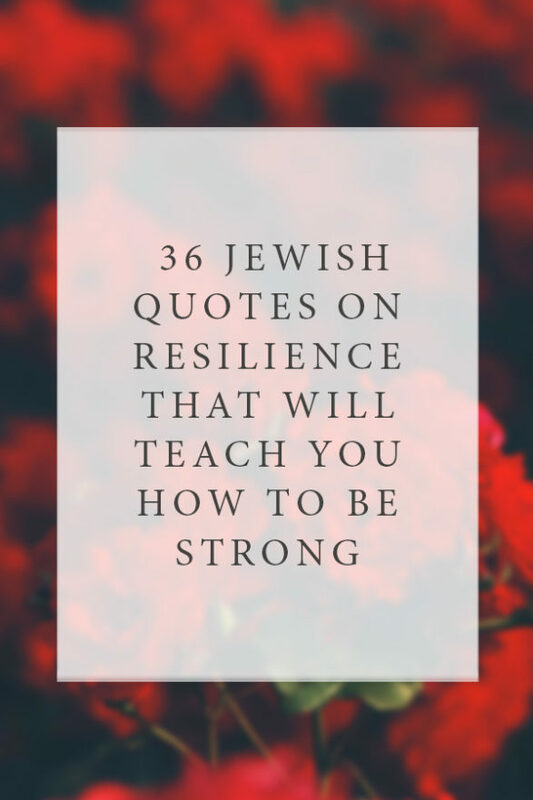 In her book, she draws on Jewish wisdom and teachings to illustrate that resilience is not bouncing back, but is a process of becoming greater. Here are 36 quotations on resilience for your reflection from her book The Road to Resilience: From Chaos to Celebration. Your turn: Tell us in the comments, which of these quotations is your favorite?